Hi Y’all! Since finishing my 3 day detox, I have really been paying much more attention to what I am putting in my body. I have still been avoiding the gluten and dairy for the most part, and just trying to eat clean food with really simple ingredients. 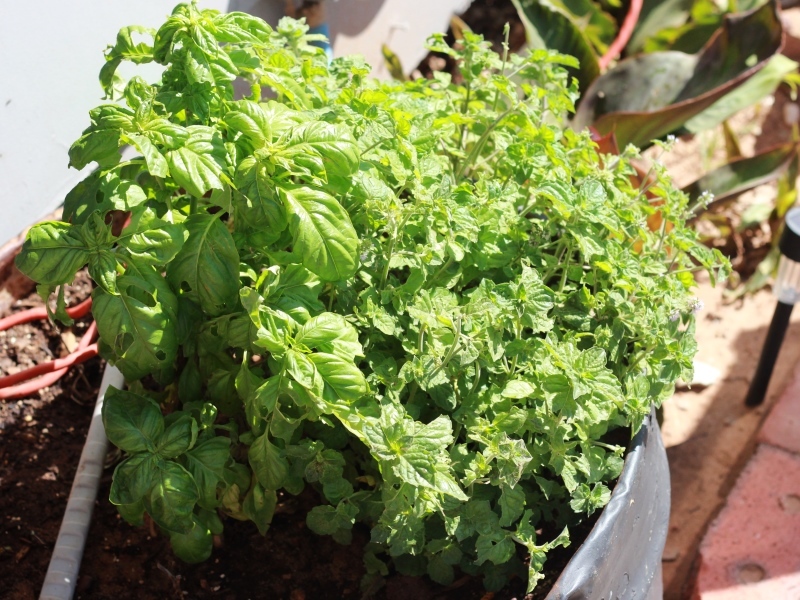 I have a pot on my front patio that is just overflowing with mint and basil right now. The mint is starting to bolt, and I figure the basil is not too far behind, so I wanted to make good use of it while I can. I would typically just throw it on a pizza like this one, or toss it with some whole wheat pasta. 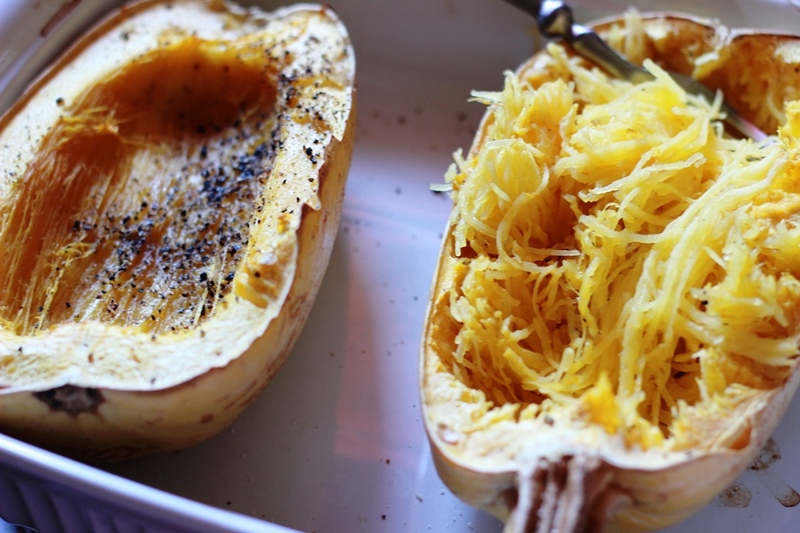 To avoid all of that wheat, I decided to try it with spaghetti squash. 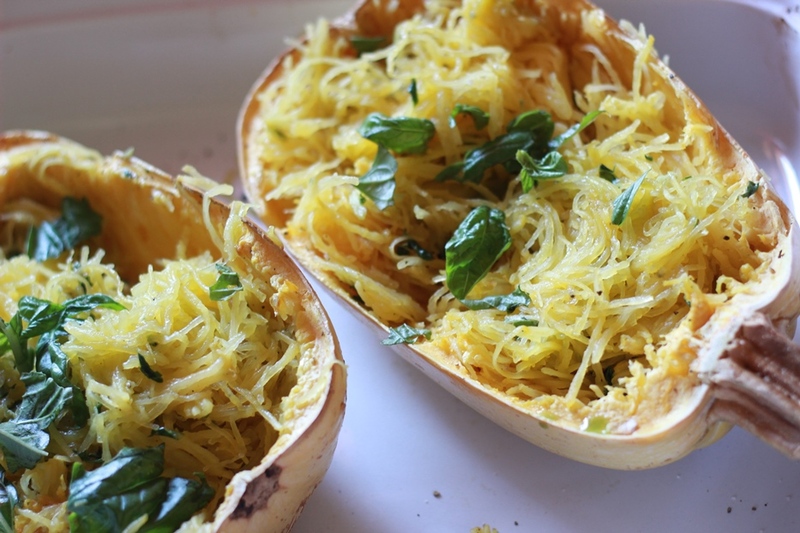 I have to be honest, in the past I have tried a few spaghetti squash recipes, but none have really been worth repeating. I think I finally found a keeper with this one though. The secret is in the sauce. Mainly it is the preparation that makes it stand out from your average pesto. 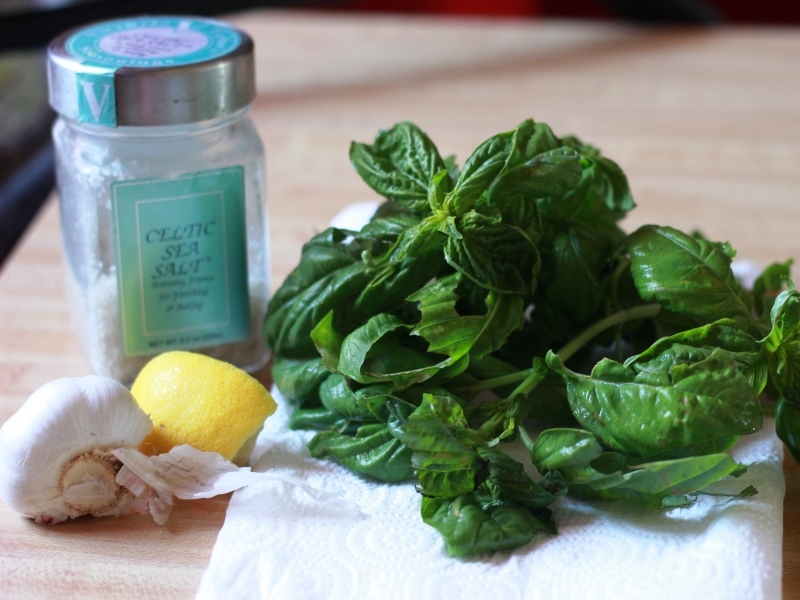 I crushed the basil up with some coarse sea salt in my mortar and pestle, and just finished it off with a few cloves of garlic, a squirt of lemon, and a couple of heaping tablespoons of olive oil. 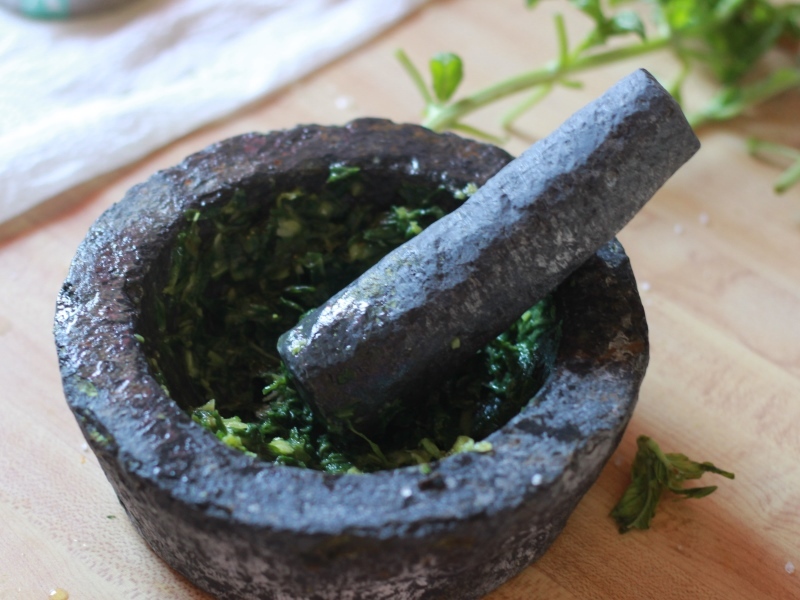 I don’t know what it is about the mortar and pestle that makes the pesto taste so much better, but since I tried it, I have never gone back to my old method of using a food processor. This makes a really filling lunch for two, or it would be lovely as a side for a big dinner. Pre-heat your oven to 400°F. 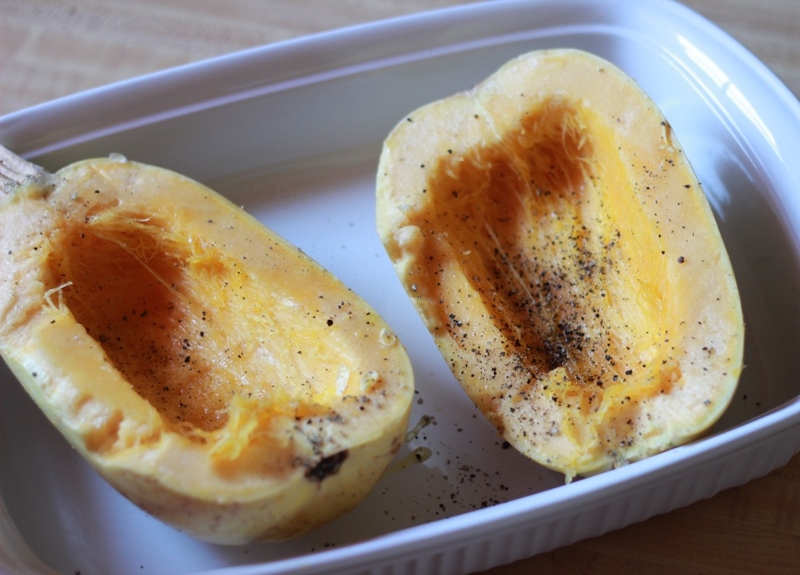 Cut the squash in half lengthwise. Drizzle on about a tablespoon of olive oil and dust with salt and pepper. Bake for 45 minutes. While the squash is cooking it is time to prepare your pesto. 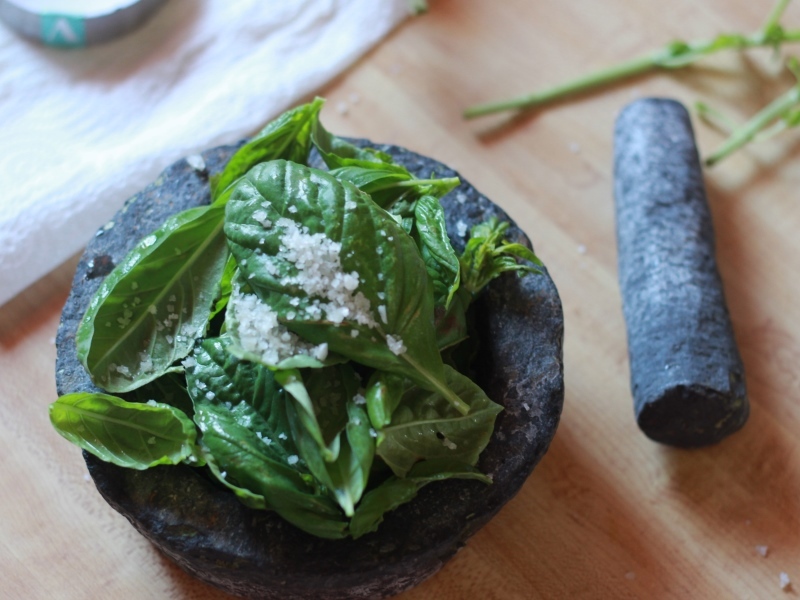 Put the basil and 1/2 teaspoon of sea salt into the mortar. crush it up just enough to make room for the rest of the ingredients. Divide the pesto between the two halves and toss to coat. 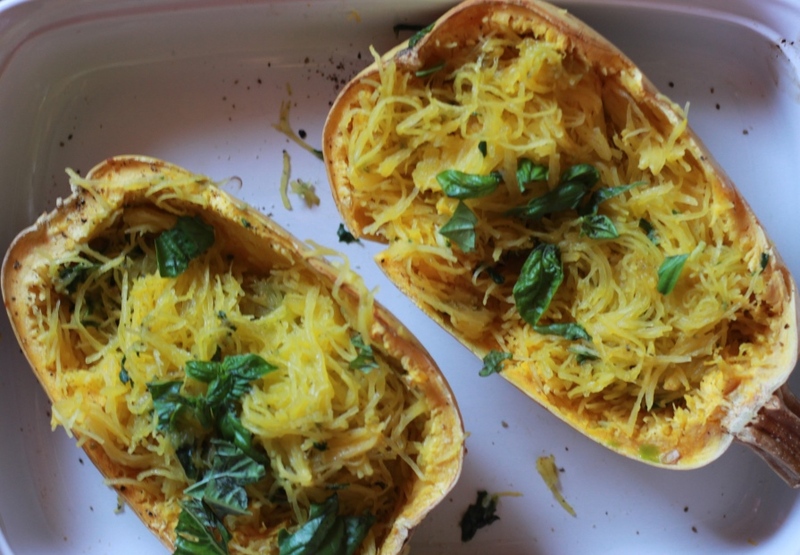 Spaghetti squash pizza boats sound really good. Thanks for the idea!